Do you like playing games? Do you enjoy cooking? Do you like to occasionally have more than just soda pop and potato chips as snacks for game night? In this new Monday blog series, game industry personalities will be sharing some of their favorite recipes for game night munchies. Welcome to Gaming Gastronomy! This week I share with you my tasteful travels during my trip to ICCM Europe. I have just returned from a ten-day trip to Germany, France, Switzerland, and the Netherlands. The purpose of the trip was to attend ICCM Europe (which I will discuss more on Friday), but I flew over a few days early to visit friends in Kandern, Germany. We traveled a couple afternoons into nearby Mulhouse, France and Lucern, Switzerland before we drove across Germany to the conference at De Betteld near Doetinchem, Netherlands. For this blog, I thought I would discuss some of the wonderful regional cuisine I enjoyed, much of which I am going to purchase or learn to make myself here at home to share with my friends and family. Many of these would make great game night snacks. 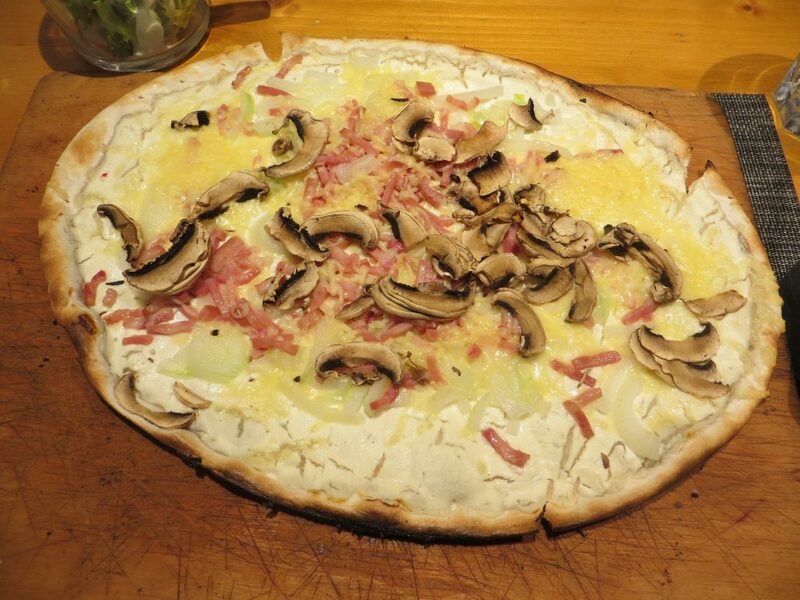 While in France, I enjoyed a traditional Alsatian dish called the Tarte Flambée Forestière, which is a thin bread, crème fraîche, onions, lardons, Swiss emmental cheese, and mushrooms. The simplest way to describe it as a thin crust pizza that uses a sour creme rather than red sauce, but that description does not do the texture or flavors of this dish justice. 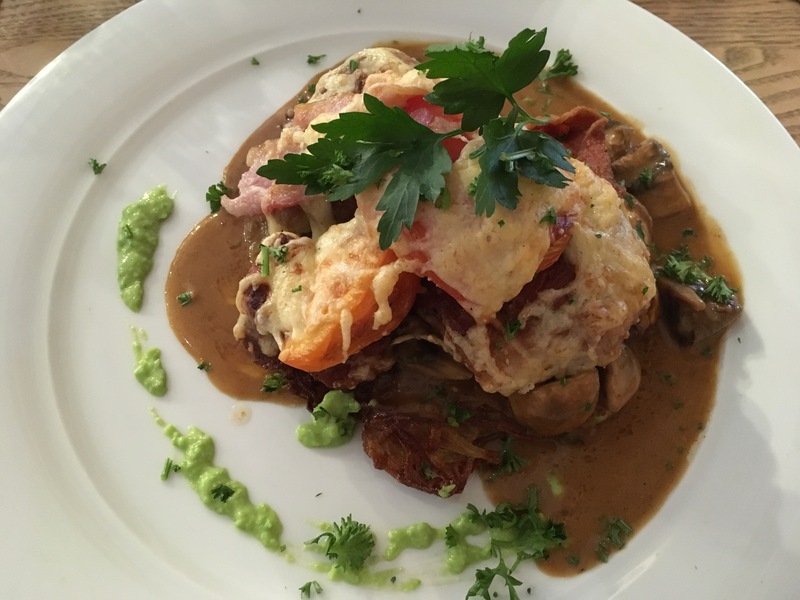 While in Germany, I enjoyed the a house special of the Bombastic restaurant called the Bombastic Rösti which has a Rösti base with Schnitzel on top smothered in Mushrooms, Tomatoes, Gravy, and Cheese. A Rösti is a traditional dish sort of like a hashbrown, but much more flavorful. 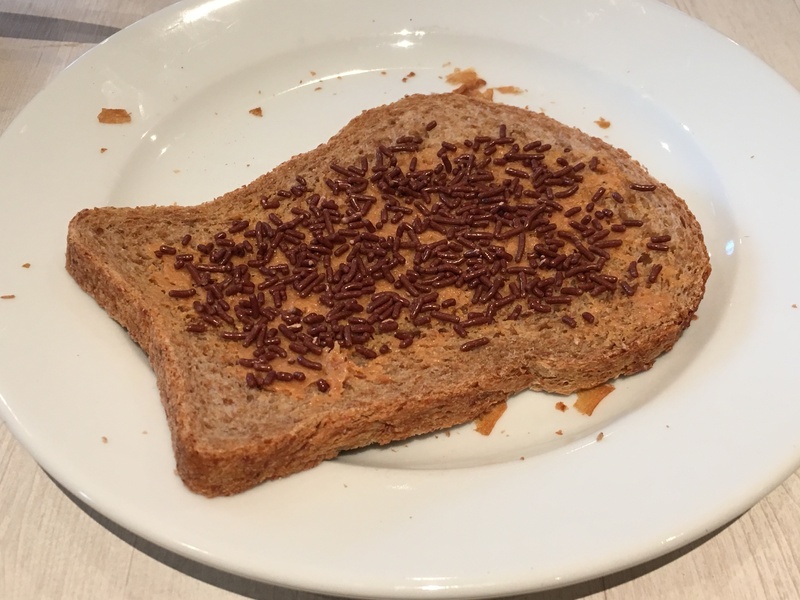 Most of my trip I was in the Netherlands for ICCM Europe or at the Schiphol airport preparing to travel home, so I experienced Dutch cuisine the most. 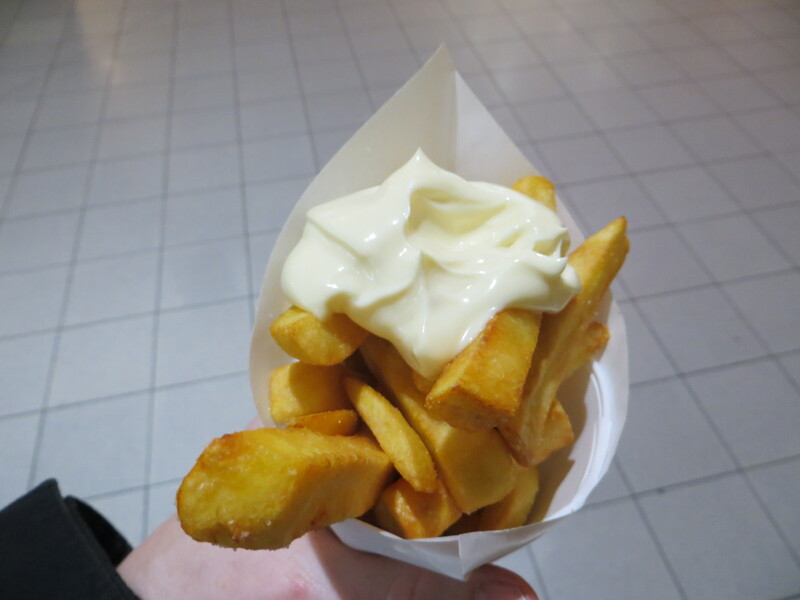 I enjoyed Kroketten, Poffertjes, Frites with Mayonnaise, Pindakaas & Hagelslag, and Stroopwafel. 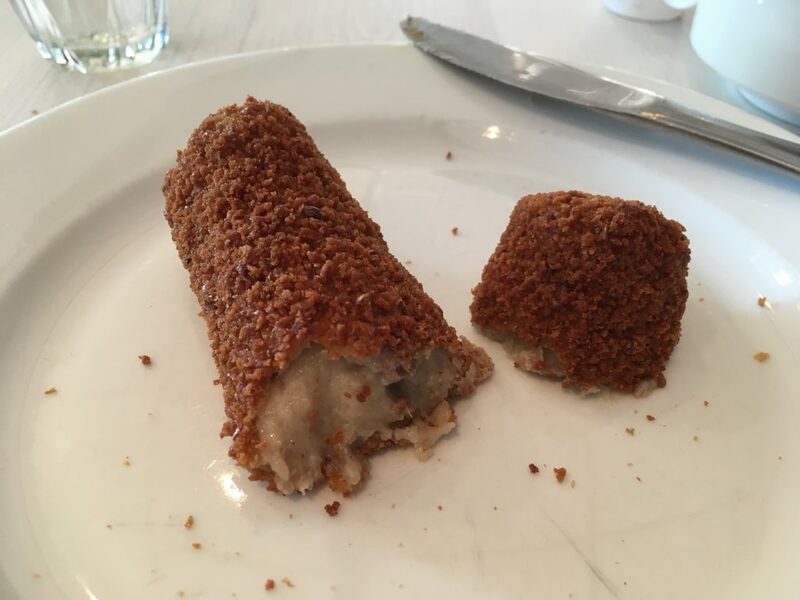 Kroketten – Dutch croquette with a meat ragout. 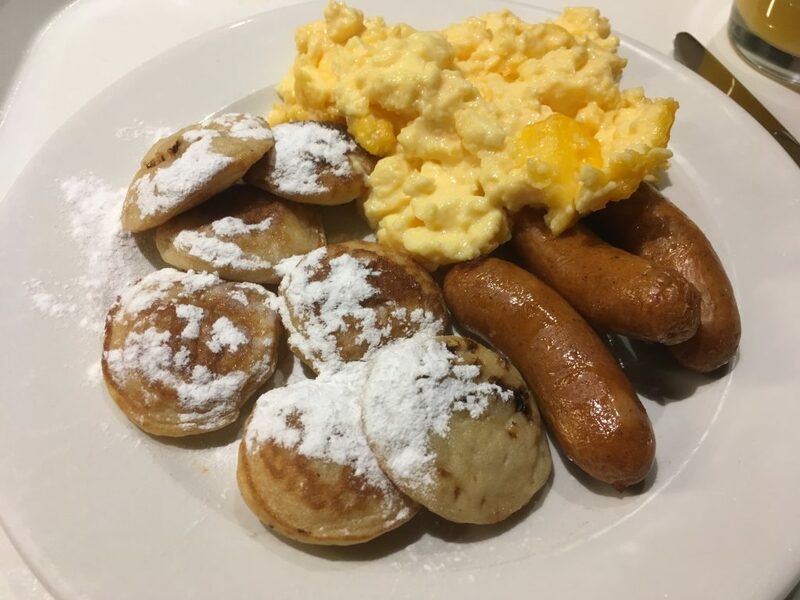 Poffertjes – Small, fluffy pancakes with butter and powdered sugar. 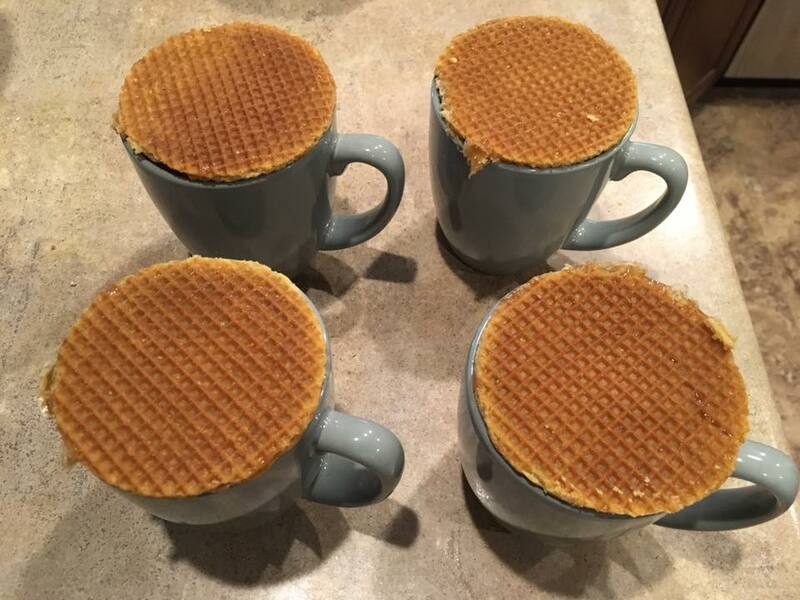 Stroopwafel – Waffle cookies warmed and softened by your hot beverage of choice. Stroopwafel is available in the US now via Amazon.com or sometimes at Aldi. 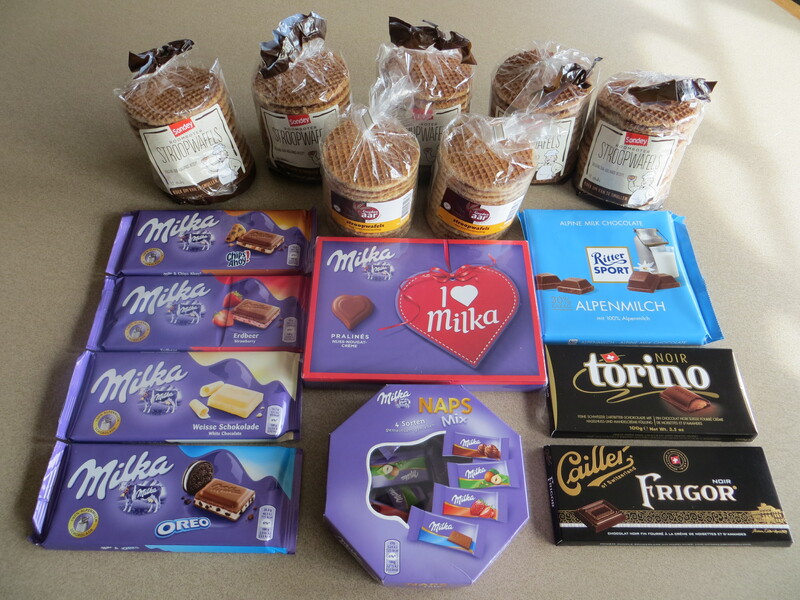 And what trip to Germany and the Netherlands would be complete without bringing home some amazing chocolate and Stroopwafel for my family? My carry-on was full of these special treats for my family to enjoy upon my return. Walmart and Meijer have begun to carry Milka Chocolate in the US so it is not as difficult to acquire these as it used to be. I hope you have enjoyed a little tour of the tastebuds as I traveled in Europe. Perhaps some of these international foods will inspire your game night snacking.